Mabelle Arole MD of Maharashtra, India gave up the comforts of a professional, upper-class life to develop a community-based health program, training health workers in their own villages. As a result of her work, more infants are surviving and the number of unplanned pregnancies has dropped. After a rigorous training in medicine, which included undergraduate work in South India, a residency in medicine and surgery in the United States and a master's degree in public health at Johns Hopkins University in Baltimore, Arole returned to India with the goal of helping the poor and disenfranchised of her country. Along with her husband, Raj Arole MD, she initiated the Comprehensive Rural Health Project (CRHP) in the village of Jamkhed in Maharashtr, dedicating themselves to improving the lot of the marginalized. By gaining the trust and confidence of an oppressed, lower caste population, Mabelle Arole managed to help start something in which full community participation was crucial. Ownership by the people is a core theme at CRHP, which is driven to empower the people, especially women and all the poor, through mobilization, health education and training more health workers. Mabelle Arole is known for her determination and excellence in whatever endeavor she undertook. And although she is a highly lauded doctor, she endures with humor and grace the pervasive stereotyping inflicted on women in her country. She is seen by her colleagues and patients as a humble, unassuming and sincere person, with a legendary reputation for patience, trust and understanding. Dr. Arole and the CRHP gained recognition in the larger medical community, influencing prominent organizations as a consultant and regional advisor to UNICEF/ROSA, WHO, and other NGOs working in global health. 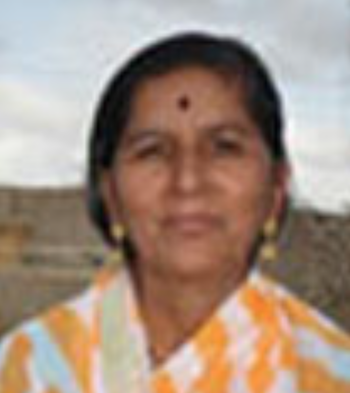 Arole is a devoted champion of women and children, and of all Dalits (low caste) and tribal populations of India. Update: Dr. Arole went on to author two books, one with her husband entitled Jamkhed: A Comprehensive Rural Health Project, and VOICES of South Asian Women, her interviews with South Asian women who faced violence and repression at all stages of their lives. Mabelle Arole died in 1999.